In electrical, we use more kinds of flexible conduit pipes to protect wire and cables. In the past few year, we use pvc or liquid metal flexible conduit for cable protection application. We found it’s hard to satisfied the most of places soon. Especially in the place which have a high standard about the appearance. In a recent study done by John Hunt, Manufacturing Engineering Manager at Mercury Electronics in Seven Valleys, PA, it has been determined that the assembly of polyamide conduits will reduce assembly times to one fifth the time is takes to assemble PVC Jacketed metallic conduits. The cost reductions associated with this type of labor savings speak for themselves. Compared to liquid flexible conduit and pvc coated metallic flexible conduit, polyamide flexible conduit is less weight and easy to take and assembly in most situation. It takes us too much time in cut metallic flexible conduit, but polyamide is not. In the case of highly engineered polyamide cable protection systems, a higher quality product in the long run costs much less. One of the most basic concepts behind the development of polyamide cable protection technology is that of extreme flexibility. It is flexible enough to fit for the terrible situation. This extreme flexibility makes the use and assembly of polyamide cable protection much more convenient where space, aesthetics, bend radii and motion are essential to the application. 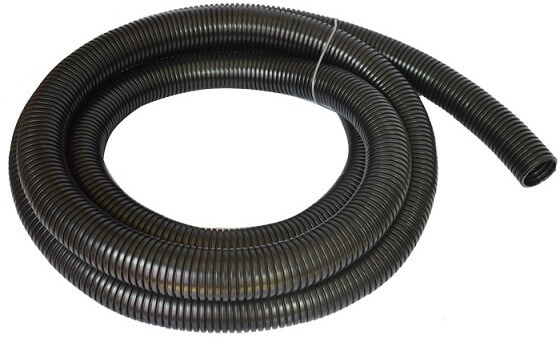 In addition, polyamide conduits remain flexible regardless of extreme temperature variances and time in the field. There are a variety of polyamide mixtures available for use in a very broad spectrum of applications. One of the best examples of this is the chemical resistance of the polyamide cable protection system. Furthermore, polyamide conduits and fittings were quickly adopted in the European and North American solar industries based on the exceptionally high degree of UV protection provided by this special polymer. In a summary, polyamide flexible conduit is a product for the most using places for wire & cable protection application. As we know there are PP, PE, PVC flexible conduit, through they are similar and cheaper than polyamide. But we still recommend it. I think it is worthy in a long time.